February is the month of love. So this month we decided to share a very special bride of ours. 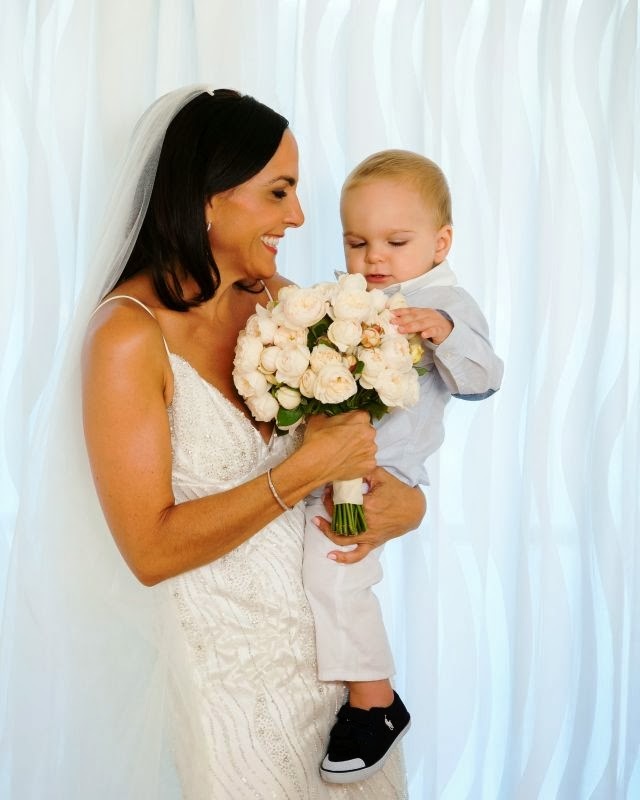 Gorgeous Shelly visited our store with a specific look she was after to compliment her Hamilton Island beach wedding. Shelly instantly fell in love with a designer piece that was embellished in beautiful bead work and ostrich feathers. The beautiful fabric was perfect for her simple and elegant style that she was envisioning. 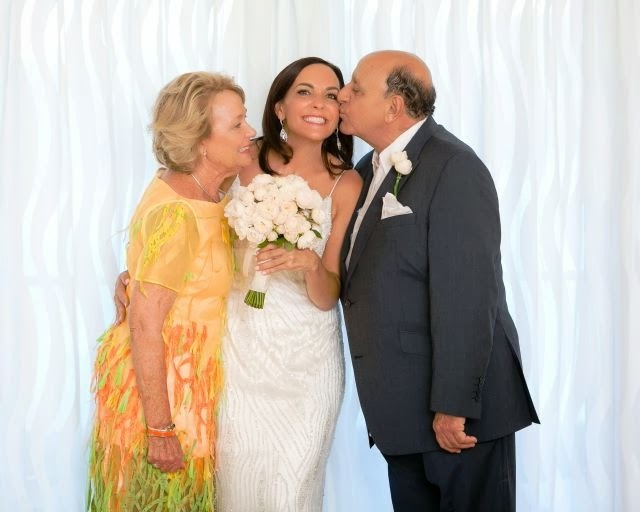 We thoroughly enjoyed meeting and assisting Shelly in her bridal process. It was then a pleasure to meet Shelly's mother, who Shelly had sent to choose her Mother of Bride outfit- who like Shelly selected a designer piece. 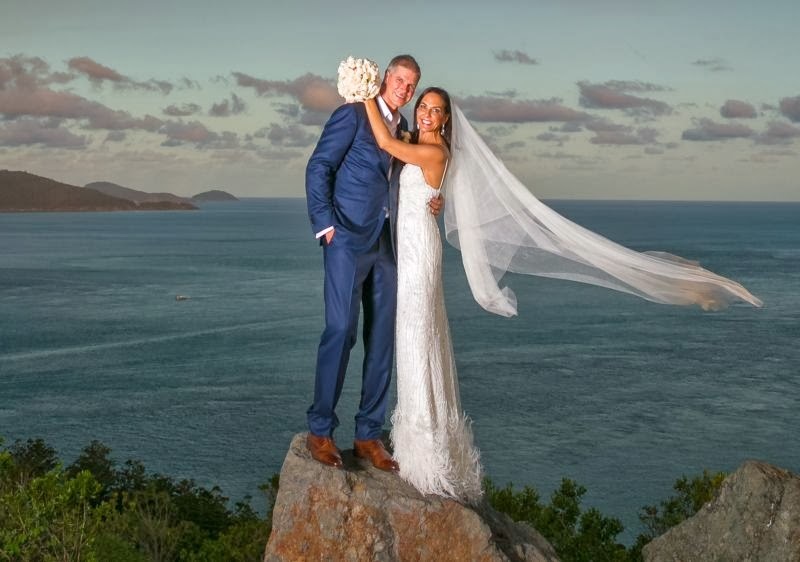 Here is a small interview we had with Shelly and some images she shared with us from her beautiful beach wedding taken by Paul Cincotta from Hamilton Island Weddings. My cousin Maria recently got married at Versace on the Gold Coast. When she walked down the aisle, her dress was simply breathtaking and the fabric was exquisite. I always intended to buy a dress off the rack, but after seeing Maria’s fabric I thought I’d take a visit to Selective Fine Fabrics with the intention of just “having a look”. Upon arriving, I was greeted by Anna and Steven and their stunning array of fabrics. I explained to Anna what I was looking for and she presented me with some stunning French sequin and feather fabric, which was far better than I ever imagined. The fabric was STUNNING. I was always intending to buy a “sequin and feather” wedding dress off the rack but after walking into Selective Fine Fabrics and spending about an hour with Anna and Steven I couldn't resist the fabric they showed me and the competence and knowledge they presented to me in relation to fabrics and dressmakers. Anna and Steven are BRILLIANT at what they do. They know their fabrics inside out and nothing is too much trouble. I had shopped for fabric in Brisbane City before and I have to say Anna and Steven’s knowledge of fabrics and their eye for buying stunning fabrics leaves other fine fabric shops “for dead”. They are by far the best in Brisbane. I took my mum down there and she also found some fabric and had a dress made for my wedding. I have told so many of my friends & family about their fabrics and my amazing experience. Nothing is too much trouble for both Anna & Steven and they BRILLIANT at what they do. 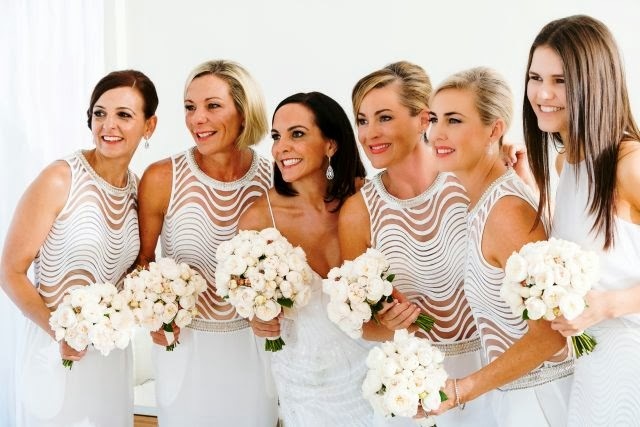 My wedding was on Hamilton Island and I wanted my dress to be flowing and understated, yet elegant. This is exactly what I achieved in my fabric selection. Enjoy the day, stop all the head talk, take it all in, AND MOSTLY be sure to LOVE your dress. Girls, as we all know, if we feel a million dollars in our dress, then nothing else matters! One word of advice... Make sure you visit Selective Fine Fabrics when choosing your fabric... I can guarantee you will be thrilled with the experience.